We are actively engaged in manufacturing, trading exporting and supplying a wide collection of School Uniform Garment that is reckoned for its superb quality. Our fabric is spun by our skilled professionals who have immense knowledge of the respective domain. This fabric available in variegated textures, colors, printing methods and patterns. Further, the offered fabric is checked by our quality controllers at each step of production to ensure its superb quality. Being the reputed manufacturer, trader exporter and supplier of industry, we are providing a high quality collection of School Uniform Garment. Our offered fabric is woven from premium quality soft yarns and latest technology in compliance with latest market trends. 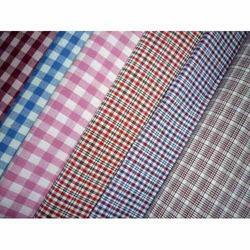 Moreover, this fabric can be availed in various patterns and also can be in several customized options as per the demands of clients. Our valuable clients can avail it at pocket-friendly prices. We are engaged in offering our clients an attractive collection of School Uniform Garment. 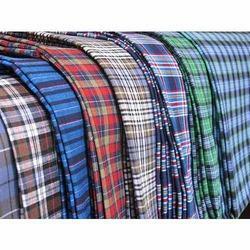 The offered fabric is woven using qualitative yarns as per the existing market trends. This fabric is available in different prints, patterns and colors as per the choice of clients. Also, we provide this collection as per the requirements of our clients at market leading prices and within the promised time-frame.